As of this article, the final Etrian Odyssey game for the Nintendo 3DS is now out in the wild. Etrian Odyssey Nexus draws dungeons and classes from across the series’ history as a final farewell to the system. As a fan of the series, the feeling is bittersweet. I came to love Etrian Odyssey on the 3DS with the fourth installment, which possessed a number of unique mechanics that, while never returning as series’ mainstays, were very newcomer-friendly and created a great gameplay rhythm. I’m deep in Etrian Odyssey V at the moment, and while that game has ditched the overworld traversal of the previous installment, the character customization system enables a great deal of personality for each party member, and the labyrinths are absolutely top-notch. 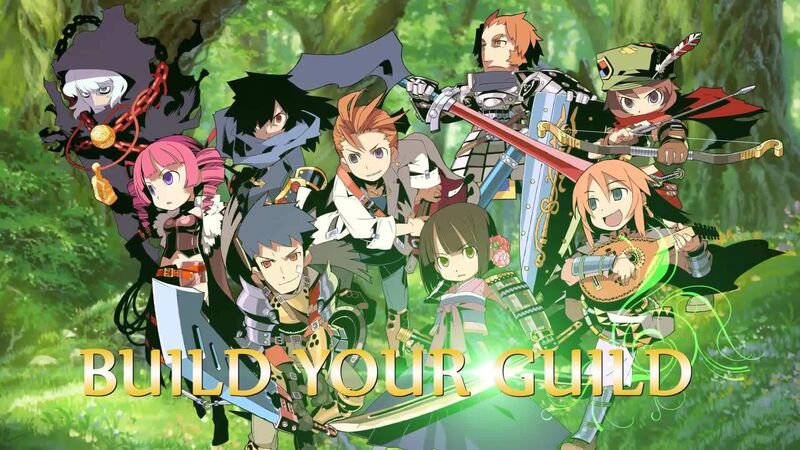 Even so, Etrian Odyssey can be a difficult series to recommend to RPG fans. Looking for a game with minimal story and character development? Sure, isn’t that why everyone plays games in this genre? The goal of these games is not to fall in love with a cast of developed characters, however, it’s to make your own adventure. The player is nothing more than a guild leader, gathering a group of like-minded explorers in order to explore labyrinths for the benefit of the people. This party is a group of blank slates, a collection of character portraits and class attributes that rely on your command in order to survive. Sometimes, if things align just right, their abilities will synergize with one another, producing powerful combinations that exploit enemy weaknesses. Sometimes, you’ll need to accept that one party member isn’t pulling their weight, and that they’ll need to redistribute their stats or get swapped out for another member in reserve. But throughout your excursions, you’ll use each member’s field skills in order to gather resources and encounter small events with specific choices, and you’ll slowly start to fill in the adventure for yourself. Whether one member manages to survive by the skin of their teeth, or another recovers some valuable resource from the brush without tangling with monsters, your party will take on an identity of its own, and you might take the opportunity to fill in some of those blanks. Of course, this isn’t to say you’ll have a load of down time. Everything in Etrian Odyssey is turn-based, from its combat system to each step throughout the labyrinth. This means there’s a great deal of weight that comes with each step taken, as forward progress always comes with a level of risk. Pushing too far into the wilds without finding a shortcut back, or being equipped with the proper warp item, means you’ll have to fight tooth and claw to get home – and when night falls after enough in-game time has passed, monster battles will become more fierce. Then, there’s the looming threat of the Formido Oppugnatura Exsequens, or F.O.E.s, enemies that move throughout the labyrinth in set patterns. These creatures have field of vision, and if you enter their view, you’ll need to maneuver around them and into safety. While this is something a seasoned dungeoneer will know to expect, there are always moments where a random enemy encounter will give a F.O.E. the chance to sneak up and take you out. At its best, Etrian Odyssey expects the player to have explored thoroughly. With a map-making system that allows for various kinds of markers atop the basic door, stair, and switch symbols, plenty of interactive elements, and enemies that will hunt you as you attempt to circumvent them, when this sort of gameplay culminates in boss fights, the feeling of preparation, attentiveness, and confidence in your party pays off in spades. All of this is set to the incredible compositions from Yuzo Koshiro that became more varied as the series progressed – sometimes to the chagrin of longtime fans, but you can’t please everyone. Why make an ode to Etrian Odyssey? There’s so much to love about this series, but Nexus is the final outing – unless you count Persona Q2’s release later this year, as it uses the Etrian engine (I don’t). So much of what makes this series is the ability to quickly and precisely map out dungeons using a touchscreen, and although these commands could be replicated on Switch, it will never replicate the feeling of using a stylus like a true map maker. We’ve seen some first-person dungeon crawlers on Switch already, like The Keep, Labyrinth of Refrain, and The Lost Child, which we’ve covered on the site. But none of them manage to capture the fluidity of cartography that the Etrian titles deliver, despite their best attempts. So with the close of the series on 3DS, there is also a degree of uncertainty. Will we return to the labyrinth on Switch, and if so, in what capacity? Is this series meant to be left on the 3DS family of systems? I personally hope not, because these games have a distinct charm and addictive exploration cycle that I haven’t found anywhere else. If you still have a 3DS, I encourage you to pick up at least one Etrian Odyssey title in the future – the great thing about this series is the amount of variety present in its various iterations. Do you enjoy overworld exploration a bit more? EOIV and Nexus have world maps, with the former having its own grid-based airship system akin to the sailing system found in EOIII. Do you like a bit more of a narrative? That’s not what the series is about, but you can get more character-driven plots in EO Untold and Untold 2, which are remakes of the first two DS titles and even feature a “story-less” mode. Are you a Spike Chunsoft kind of person? Pick up Etrian Mystery Dungeon, which is kind of a combination of both series. Do you like collecting monsters? Forget all of this and play Shin Megami Tensei: Strange Journey Redux, a SMT title that uses the Etrian engine. Whatever you do, give this series a chance – it’s difficult, rewarding, and open-ended in ways most other RPGs are not. Etrian Odyssey 2 Untold was the high point in the series, IMO, and the title I would recommend the most. It’s really unfortunate that they most likely won’t make Untold 3, or even if they did it’ll be very different from the others. Untold 2 was an improvement over the first in the “story-centric retellings,” but honestly, as Etrian Odyssey deepened in complexity around EO III and beyond, the series began developing narratives that, while not as dialogue-heavy as the Untold games, are compelling enough in their own right. I thought EOIV’s narrative was surprisingly good for what it was. EOV’s narrative isn’t meeting those same heights, but the quality of the squad composition and dungeon mechanics are top tier. EOIII, to me, could use the 3DS EO engine upgrade, but it’s full-featured enough on its own.